'The whole nature of referral giving and receiving has changed dramatically for advisors. The major influence is technology,' says George Hartman, president and CEO of Market Logics. “The whole nature of referral giving and receiving has changed dramatically for advisors. The major influence is technology,” says George Hartman, president and CEO of Market Logics in Toronto, which advises financial institutions and small and medium enterprises on business practices. “In the old days, a referral would have been a few words from a satisfied client who might be talking to a friend who was dissatisfied with their advisor. The satisfied client would say, ‘You should talk to my advisor,’ ” he says. “Today what happens is different. The very first time someone gets a referral, they do a Google search. Then, if you’re searching for an advisor, you might go onto the advisor’s website or their LinkedIn profile. Hopefully this will yield some information that’s relevant and useful,” he adds. 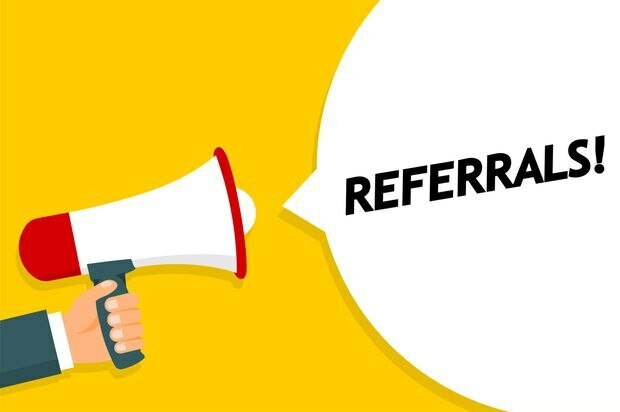 Referrals matter a lot to advisors, according to James Pollard, a Philadelphia-based marketing consultant for financial advisors who runs a business called The Advisor Coach. Mr. Pollard says that 58 per cent of wealthy investors in the United States found their advisors through referrals, and the lifetime value to the advisor of a referred customer is 16 per cent higher than that of a non-referred customer. Traditional word-of-mouth referrals are still important, though, Mr. Hartman says. In fact, their importance tends to be boosted nowadays because word-of-mouth is more unusual than word-of-web. “People will tell others to go to an advisor’s website. So it’s rarer now to say, ‘You should make an appointment and see this advisor,’ and because of that, the effect can be amplified,” he explains. Nevertheless, advisors need to pay more attention to the word-of-web because the internet is where people do their research now, Mr. Hartman adds. In addition, people are often reluctant to refer their friends to particular advisors, in case their recommendation doesn’t pan out. Yet while advisors can boost their business through the web and social media, they should put some thought into how they go about it, he adds. The problem with the internet is that, well, it’s the internet. In the era of fake news, trolling and heaven knows what in cyberspace, the Web can be a digital jungle. “Generally, people looking at information online will find enough information to at least encourage them to go explore for deeper information. Negative information [about an advisor] is going to be pretty prominent,” he says. People who see something they don’t like about a recommended advisor will usually either give up on that advisor or look for more information about him or her online, Mr. Hartman suggests. What happens if an advisor’s online presence is tainted by false or even malicious information? On the flip side, advisors should see the internet as an opportunity to build business, by creating a website that will attract new customers. This requires some planning and thought, Mr. Hartman says. “The advisor’s website is the core. What you’d hope to find there is a good representation of what the advisor does, their [investment] philosophies, the things they believe in and the solutions they believe in. It should not be so much about products, but more about processes, how they investigate and analyze,” he says. In fact, adds Mr. Hartman, “anything the advisor does should be designed to drive people back to their website. If you post on LinkedIn or tweet, for example. You can retweet something interesting, but it’s better to add some comment and refer people back to your site,” he says. It can also be helpful to engage professionals who can help with search engine optimization (SEO) by analyzing search engines’ algorithms and generating key words that will help an advisor’s site come up higher when someone searches for advisors’ websites. “There are people who specialize in this, they’re not expensive and why take time away from what you’re good at for something that’s not your area of expertise,” Mr. Hartman says. Those who make referrals that go beyond informally telling a friend to check out a particular advisor should be aware of proposed changes by the Canadian Securities Administrators (CSA), an umbrella group for provincial securities watchdogs. Changes proposed by the CSA on Sept. 13 include a suggested ban on referrals to those who are not registered with securities regulators. Anyone in Canada in the business of trading securities or offering investment advice must be registered with the securities regulator of the province or territory in which they do business.